The 4 star Barceló Stirling Highland Hotel in Stirling City Centre is perfectly located for holidays and short breaks. 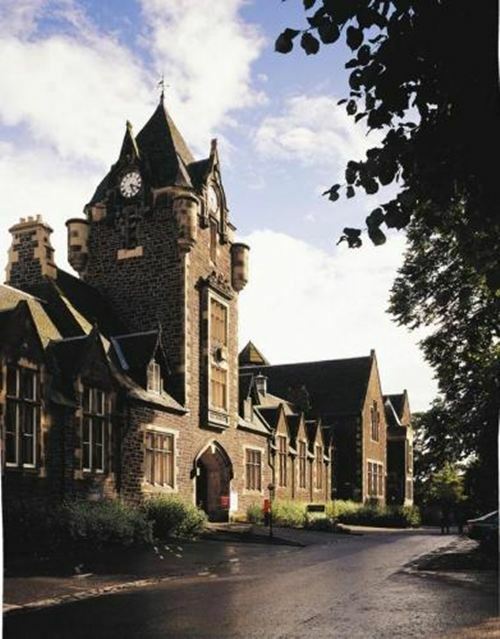 This stunning, imposing building was previously the city's High School. It is the perfect place from which to explore Stirling, Falkirk and the Forth Valley and is within easy reach of Edinburgh and Glasgow. The Barcelo Stirling Highland Hotels offers 96 contemporary bedrooms including 10 premium rooms. The hotel is steeped in Scottish history and boasts a full working Observatory which can be hired for star-gazing. D i ne in Scholar's Restaurant or relax with a drink in The Headmaster's Study. To complete your stay, let us pamper you in the hotel's Beauty Rooms which offer a wide range of spa and beauty treatments. Open to hotel guests and local members alike, the Health Club at Barceló Stirling Highland Hotel offers a range of facilities including an indoor swimming pool, sauna, steam room, spa pool, fully equipped gym and squash courts. There is so much history to explore in Stirling, and Barceló Stirling Highland Hotel is ideally situated to explore the city and the Highlands of Scotland. The hotel is just minutes from Stirling Castle where Mary Queen of Scots was crowned and eight Scottish sieges took place. You'll also find the Church of the Holy Rude, founded in 1129, and reported to be the only other surviving church in the UK, apart from Westminster Abbey, to have held a coronation, and the Wallace Monument which stands tall above the city. Venture a little further and only 30 miles away you'll find cosmopolitan Glasgow to the west and Edinburgh to the east, two cities renowned for their culture and shopping. If you prefer to get out in the great outdoors the Trossach's National Park is only 15 miles away as is Callendar House and Park.